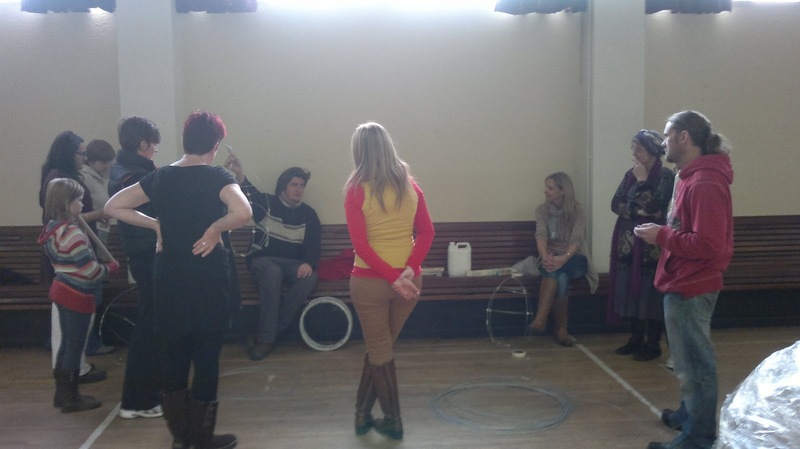 Facilitator, Tom Meskell held a Winter Workshop with Culture Cavan at St. Patricks Hall, Shercock on Saturday and Sunday, the 3rd and 4th of November 2012. 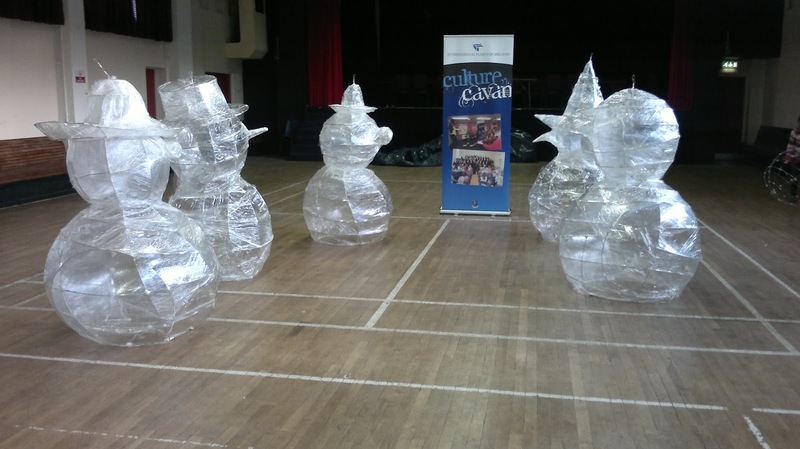 In this spectacle making workshop, the participants created Winter spactacles, namely snowmen and penguins. The winter spectacles then featured as part of the Shercock Christmas lights display in December 2012. The turning on of the christmas lights took place on December 9th 2012 on the Fair Hill. It looked magical with fairy lights all around and the lovely illuminated snowmen and penguins. There was festive entertainment comprising of dancing christmas trees, a recital of 'twas the night before christmas', local musicians, carol singing and some dancing. For the adults, there was mulled wine and mince pies served, and for the children - a visit from Santa, who brought a little treat for every child. Then all the children took a ride on the Shercock Express. All free of charge. A beautiful variety of snow characters sit on Fair Hill - A Winter Wonderland for all to enjoy!